Cubicle 7's announcement for Eriador Adventures, the companion volume to the Rivendell Region Guide for for Adventures in Middle-earth, the 5th Edition OGL setting. Today we're pleased to open the pre-order for Eriador Adventures™ for Adventures in Middle-earth™! As with other Adventures in Middle-earth titles we're running the pre-order for a week before the PDF goes out, so that everyone can get it in one go! You can secure your copy at our webstore. The six adventures found within Eriador Adventures were originally written for Ruins of the North the companion volume to Rivendell, a sourcebook for Cubicle 7's The One Ring Roleplaying Game. Eriador Adventures contains six ready-to-play adventures for Adventures in Middle-earth, complete scenarios that can be played separately or as an epic series spanning a number of years. All adventures are set in the years prior to 2977, and take place in the lands surrounding Rivendell. Cover art by Ralph Horsley. Eriador Adventures is a gorgeous, 144 page hard cover, originally penned as Ruins of the North for The One Ring Roleplaying Game, by Francesco Nepitello, Adam Dials, James R. Brown, Richard Harrison, Andrew Kenrick, T.S. Luikart, Marco Rafalá and James M. Spahn. It's been masterfully converted to Adventures in Middle-earth by Jacob Rodgers. Pre-order your copy now! All pre-orders come with a free PDF version. The PDF will be available next week, the hard copy is expected Summer 2018. Eriador Adventures – out now in PDF! 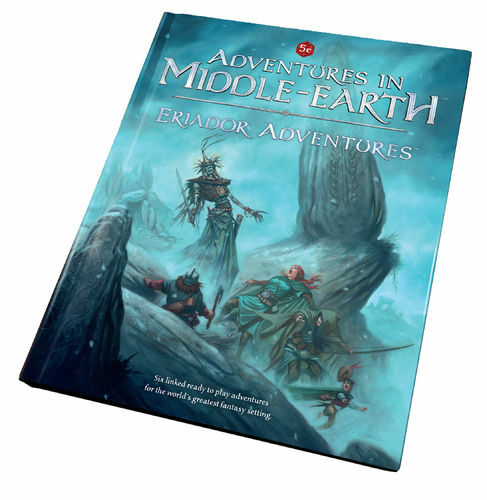 Cubicle 7 has announced: "Out now in PDF: Eriador Adventures for Adventures in Middle-earth™"